Sunwing has dropped the price of their last minute flights from Winnipeg to Varadero, Cuba down to $385 CAD roundtrip including taxes. Are there any good deals on a place to stay in Varadero? 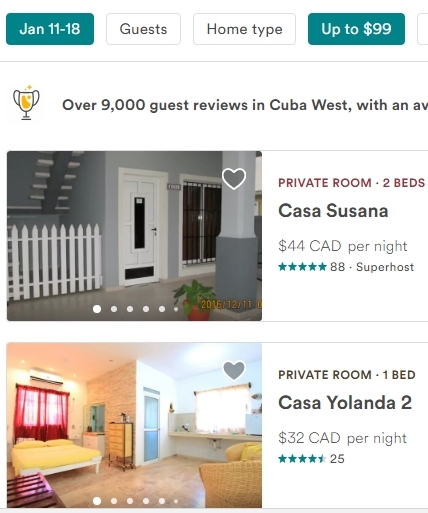 A quick search on Airbnb for these dates shows hundreds of properties in Varadero for under $99 CAD/night for 2 people. winnipeg, ywg, caribbean, flight deals, cuba, sunwing, varadero and vra.